The decision to use an element of the logo as a custom bullet for our lists helped to pull the entire composition together. 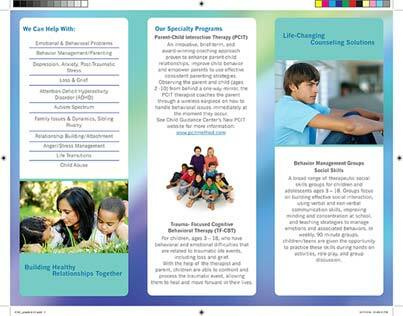 The team as well as the client were quite pleased with the strategy and result. 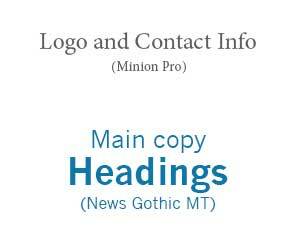 We utilized a similar tactic when we made the font choices. The contact info on the front matches the logo. If we are paying close attention, we can see that the logo combined with the tag line use both serif and sans-serif fonts. 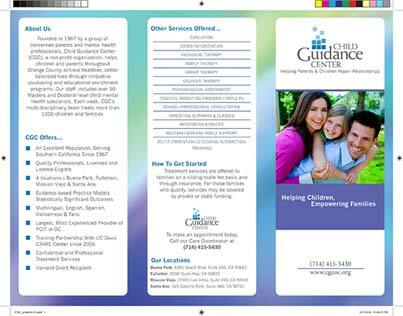 This use of combined fonts was done on the rest of the brochure as well in an effort to subtly repeat that theme. 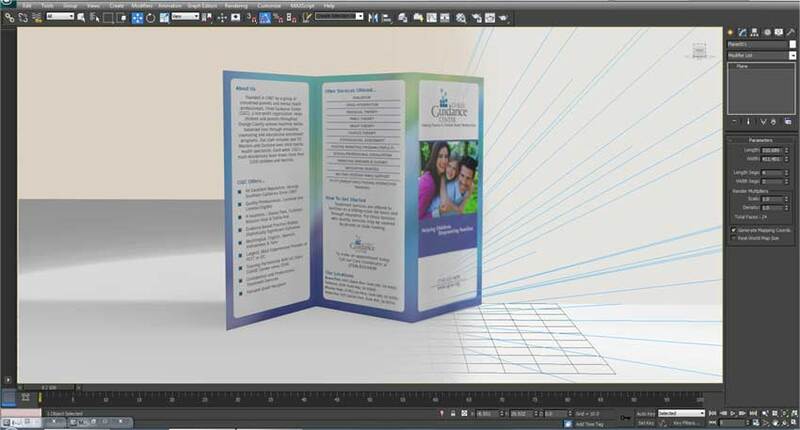 We created a 3D mock-up using 3DS MAX for digital viewing and visualization purposes. I enjoyed the honor of being the lead designer among a team of really good designers. All team members created set(s) of comps. 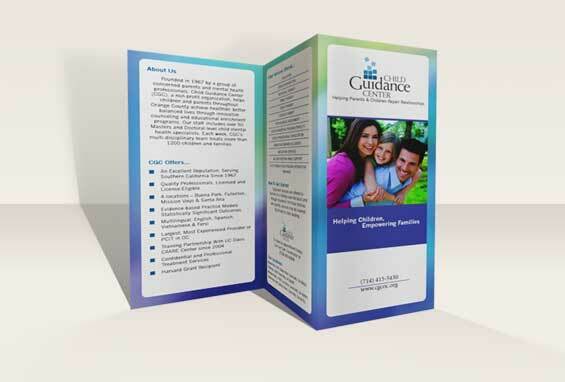 I was priveliged to create the 3D mock-up of the brochure for client review and digital display. I acted as liaison for the team when communicating with the client and the service bureau, (printer).